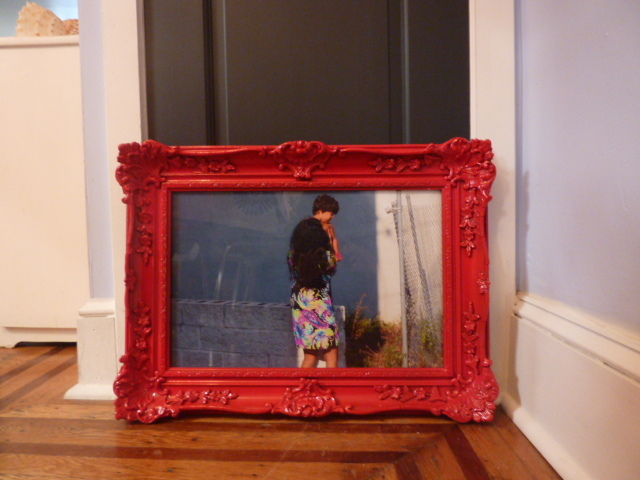 So this weekend I managed to fix this frame and paint it a very bright glossy red. My father-in-law cut a piece of glass for the frame and it was very easy to transform the frame into something stunning. It is amazing what a coat of bright paint can do to an old frame or even and old piece of furniture. I love everything about the photograph and the frame. Now I just need to decide where I am going to hang it. Click here to see what the frame looked like before I painted it.